Throughout her life, Margot Searcy has continuously studied art in private classes. She has worked in charcoal, pastels, inks, block printing, crewel embroidery, tinsmithing, jewelry fabrication, flower arranging, acrylics and currently watercolors. In the past she even made metal sculptures of insects. 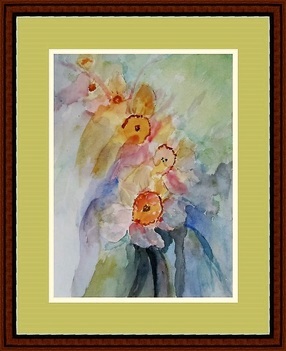 Now retired, she is really enjoying using color and painting in watercolors. Her favorite subjects deal with wildlife – flowers landscapes, birds, and other animals. Recently, abstracts have also become much liked subjects for her. She works from her studio/office which is in her cottage at Salemtowne Continuing Care Retirement Community in Winston-Salem, NC. She can be contacted at margotsearcy@gmail.com. 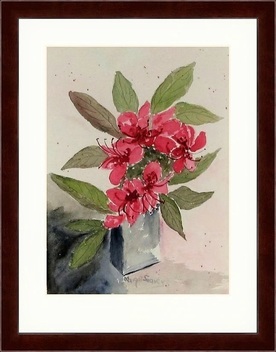 ©Margot Searcy, Red Rhodendron Arrangement. 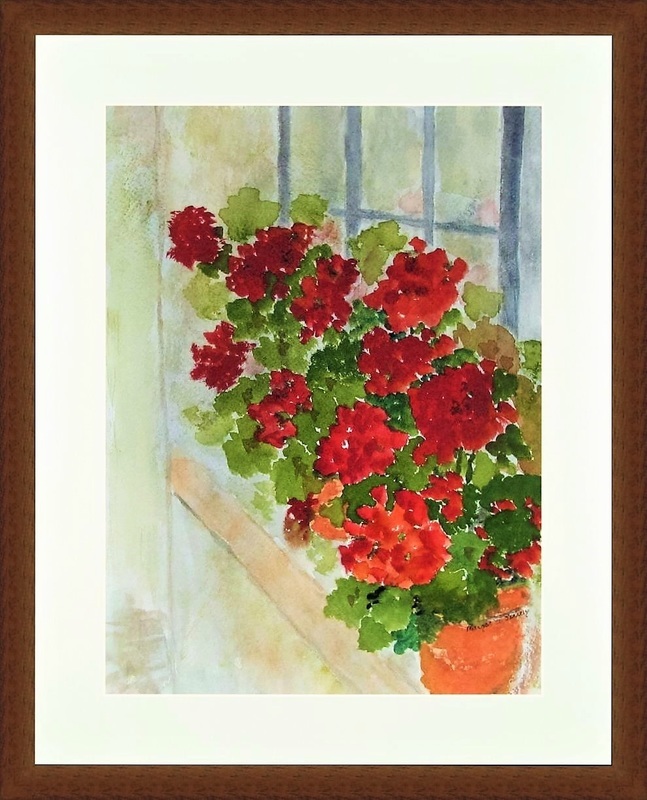 Watercolor, 13 ½ x 16 ½ inches. ©Margot Searcy, Dance of the Flowers. Watercolor, 17 x 21 inches. ​©Margot Searcy, Cheerful Window. Watercolor, 12 x 13 inches.